Professional sanding machine with Variable Speed motor and integrated dust extraction especially designed for prefinished parquets. 3HP Variable Speed Motor very noiseless and powerful. • KIT DUST CONTROL it allows to work “dust free“. 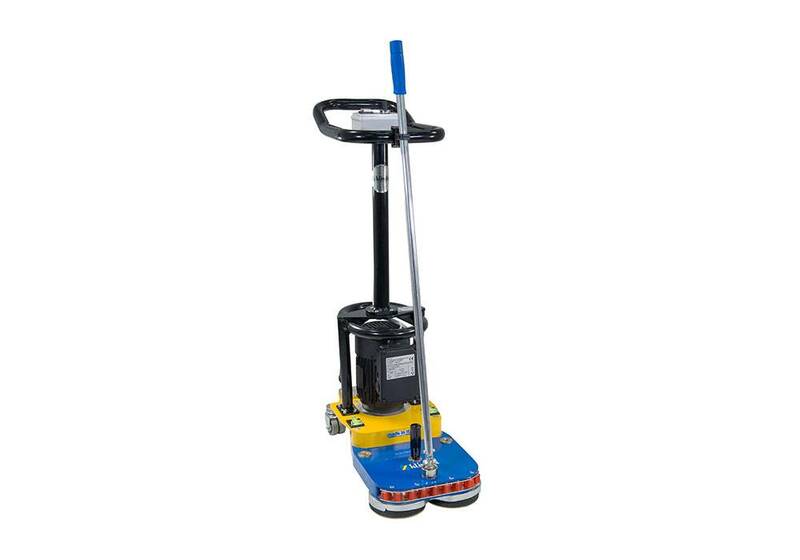 • Pad Holder standard to use abrasive floor pads. • Multidisk A3 – 140AS.